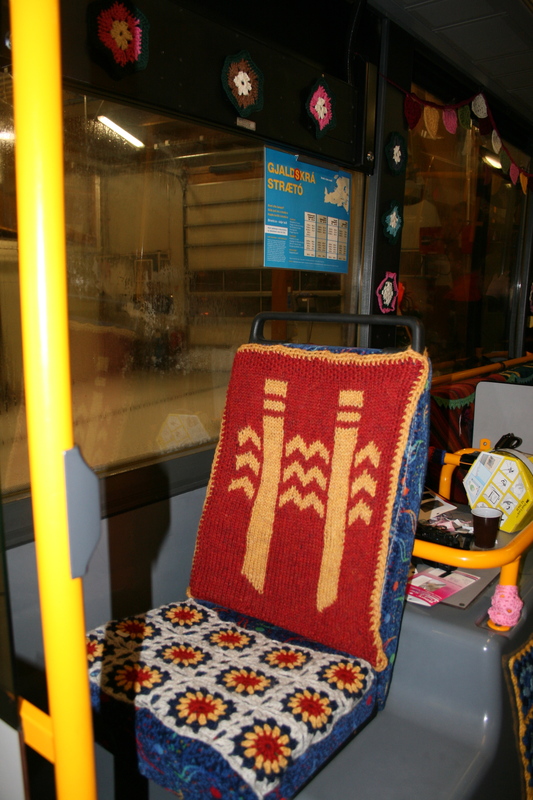 Reykjavík Underground Yarnstormers went for their second mission yesterday and the magnificent piece was released into the wild today to celebrate Culture Night in Reykjavík. How beautiful are these seats? 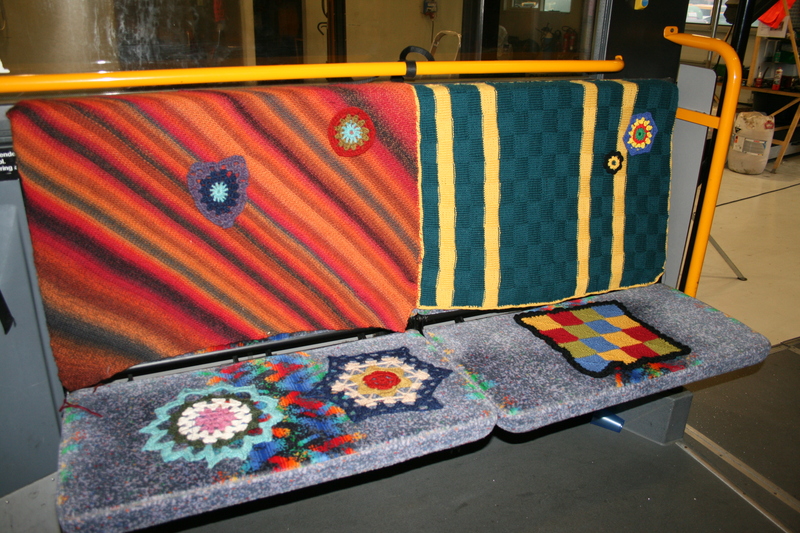 More photos on Reykjavík Underground Yarnstormers and you can also like Reykjavík Underground Yarnstormers on Facebook! Posted in yarn graffiti and tagged Reykjavík Underground Yarnstormers, reykjavik, yarn graffiti, yarnstorm. Bookmark the permalink. 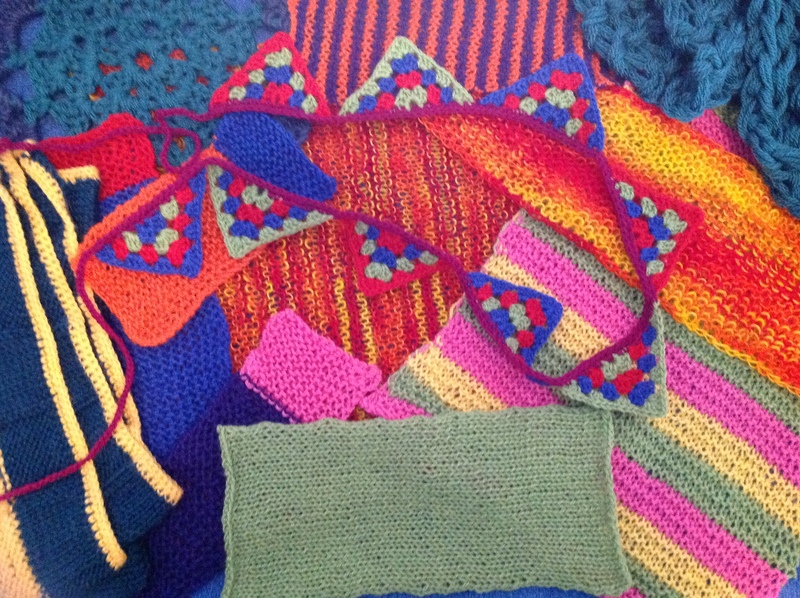 Reykjavík Underground Yarnstormers are heading to their biggest yarnstorm yet. It’s going to be big and moving. Don’t miss it! Posted in knitting, yarn graffiti and tagged knitting, Reykjavík Underground Yarnstormers, reykjavik, yarn graffiti, yarnstorm. Bookmark the permalink.